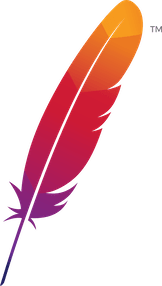 Apache JSPWiki 2.10.5 is the sixth JSPWiki release made as an Apache TLP. Apache JSPWiki 2.10.4 is the fifth JSPWiki release made as an Apache TLP. Full details are available in the ChangeLog file or via our issue tracker . Apache JSPWiki 2.10.3 is the fourth JSPWiki release made as an Apache TLP. a plethora of styles which can be triggered through %%add-css constructs, like custom fonts, image galleries, background patterns, page ribbons, and many more! Apache JSPWiki 2.10.2 is the third JSPWiki release made as an Apache TLP. Apache JSPWiki 2.10.1 is the second JSPWiki release made as an Apache TLP. Apache JSPWiki 2.10.0 is the first JSPWiki release made as an Apache TLP.